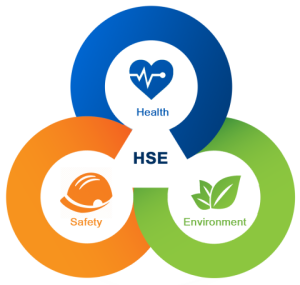 Health, Safety & EnvironmentManaging hazards effectively is perhaps the single most important element in reducing occupational injuries and environmental incidents. The Behavior Based Safety Program has risen to the forefront as a method to enhance how Darby’s Welding & Machine, Inc. views and manages HSE in the workplace. Through Hazard Identification, Risk Assessment, implementation of Safe Operating Procedures, and Employee Training, accidents, injuries, and environmental incidents can be prevented. To this end, Darby’s Welding & Machine, Inc. has HSE Policies with written safety procedures. Employees are trained in these safe work procedures. In addition, they receive formal training in Safeland USA or OSHA-10, and H2S Awareness. A formal Drug & Alcohol Program that exceeds minimum DOT requirements is in place and has been audited and approved by National Compliance Management Service and TEAM Professional Services. Every prospective employee undergoes a Certified NAPBS Accredited Background Check performed by Shield Screening. If there is an incident Darby’s Welding & Machine, Inc. has contracted with Axiom Medical Consulting to provide Injury Case Management to our employees to ensure they receive immediate and streamlined high-level care and treatment.